Hulk Smash antiquated notions of formal dress attire! 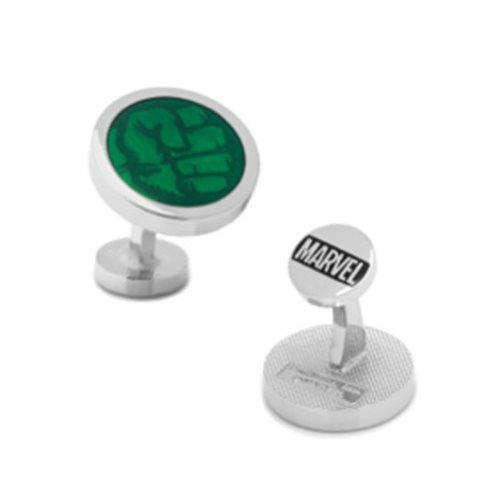 These Hulk Fist Cufflinks feature a snazzy silver base color with the Hulk Fist symbol in bold green on the front. Just 'cause you have to dress nice doesn't mean you can't still get angry about it and Hulk Smash all over the place!